If ever there is a time to embrace some good ol’ family traditions, it is definitely during the Holiday season. There are many unique Holiday traditions embraced by each and every family that bring a sense of comfort and community as we celebrate. Below, enjoy learning some Holiday traditions carried on by a few of our favorite MANIA® presenters! I give into my cravings, and love to eat Christmas cake this time of year. I also enjoy leaving $5 Starbucks gift cards randomly to people I encounter while shopping, some of my clients, etc. I tend to watch the Hallmark channel 24/7 nonstop, for the whole month! And, don’t forget, I will surround myself with Christmas music – in my house, my car, and at work. 1. Make my annual year-end summary with only my favorite pics of the year. 2. Visit the nuns of my charity and spend time catching up about the year. 3. Visit my favorite decorated stores, restaurants and churches in NYC and make believe I’m in Paris. Fifty weeks of the year I tend to read research study publications 24/7. During the 1-2 weeks of the holidays I like to see what are the current fiction and/or nonfiction best-selling books on the NY Times Best Seller lists. I then strive to read at least one to two of these books that seems appealing to me at the time. We always make sure to get a Family Santa Photo. There’s only one young kid in our family, yet all the adults go, and then head to the best restaurant in town for lots of bubbles and laughs. I host an open house on Christmas Eve. I love the eclectic group of people who walk through the door that night. There’s always a present for every kiddo, too! Another important tradition, eating pumpkin pie. From Thanksgiving to New Year’s, as often as possible. Every year my husband and I do a date night to get all of our holiday shopping done. We make it complete with a nice grown-up restaurant and then head to our favorite downtown Seattle spots. We finish with a cocktail at our favorite bar right near home. We plan a late breakfast with both healthy and classic choices (e.g., cookies, Panetone – classic Italian Christmas cake, hot chocolate, etc.) We enjoy all the food while we take turns opening gifts. My mom always make a traditional Italian Pasta with meat sauce as part of our Italian heritage dinner for Christmas and he new spend the evening with a real log fire, watching a movie together as a family. I love to make my yearly turkey (you can cut it with a fork). I make a point to visit a Northern city and see snow! We love to drive around, and see all of the snow-covered (and not!) decorated houses. The holidays are a time to eat and enjoy, so I encourage all my clients to celebrate the holidays (Thanksgiving Day, Christmas Day, whichever) and NOT feel guilty about it. You cannot get overweight enjoying special foods for one day! However, stay committed to your weekly exercise routine. The holidays are not the time to slack off that. With that said, the holidays allow me to enjoy these favorite things: Champagne (not super expensive brands just yummy ones), eat the dark meat turkey and cherry pie, but my most cherished activity is spending time with my daughters together with my husband just hanging around, relaxing and watching our favorite movies. I must admit that living in Southeast Asia for the past 10 years made me very “hungry” for traditional Winter Holiday experiences, like enjoying the beauty of snow and smelling the freshness of a winter day, tasting fresh roasted chicken (even with my high vegetarian aspirations), and something I enjoy having specifically in the U.S.: a cup of fresh hot chocolate. From my Eastern European childhood, I remember loving the smell of a Christmas tree and oranges and mandarins (fruit that is highly popular in that region during the winter holiday). I also recall going to a Russian sauna for New Year’s Day, a tradition that sometimes involved diving into a freezing cold river or pool or snow. One of the best things about the holiday season, of course, is the opportunity to reconnect with friends and family and collectively express wishes for beautiful times ahead! This year, 2016, marks my first full-on Western New York City Christmas, and I’m thrilled. 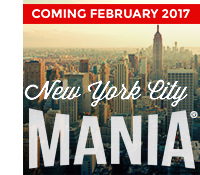 I’m also delighted to be staying there until the launch of the inaugural SCW NYC MANIA® in 2017! I wish everyone a meaningful Holiday Season! I LOVE Christmas music and old movies – so this holiday is pure heaven! White Christmas with Bing Crosby & Danny Kaye is my favorite! On Christmas I go out for dinner with my husband, Alan, and our four boys. Chinese food it is! Then we hit a movie. (This is what Jews do on Christmas!) The best part is there are usually no emails or text messages for at least 48 hours! The day after, I go shopping with the kids (who are now all over 6’ tall and love to have mom help them pick out new clothes). Oh, did I mention the Christmas cookies? Let’s talk about cookies ….. LOVE THEM! We wish all of our SCW Family and Friends a very Happy and Healthy Holiday Season! Cheers! As we enter into our 30th year running and hosting of Fitness Conventions, we could not be more excited to enter the “Big Apple” for the first time ever! Unfortunately & fortunately, NYC is it’s own beast and quite unique from all of the other regions where we host our SCW MANIA® Events. We were unable to find a hotel or fitness center that was willing to let us utilize their pool, and the Grand Hyatt where we are having NYC MANIA® does not have a pool. So where did that leave us? Initially, thinking “We will just have to skip the aqua”, but then we realized – NO WAY! So doing as SCW does, we got creative and came up with a solution. Now, not only will SCW enter NYC with it’s first ever MANIA®, but we will also run an entire aqua teaching track on LAND! We feel this is a great way to, at minimum, simulate deck teaching and be able to secure choreography. SCW truly believes this will be a great way to teach teachers how to TEACH! Typically, the instructor is on land and now we can show you how to be the best instructor possible while showing you what works and doesn’t work when it comes to teaching aqua on land vs what your participants are doing in the water. Furthermore, participants will not have to worry about getting wet or cold, transferring from different venues, changing clothes, etc. We look forward to seeing you in New York City, and remember, now is the perfect time for all to try out an aqua class! While January 1 typically becomes a time where your classes are packed and your training schedule is full with all those that want to start the new year by getting healthy – as trainers and instructors, it can still be difficult to stay on track. Below are a few tips from SCW and one of our presenters to help make the holiday season a bit less tempting! SCW Presenter Fabio Comana suggests, to help manage the holiday bulge, don’t put the pressure upon yourself to find more time to be active during holidays – be realistic and simply change the way you do the things you do – try to stand and move more with your activities of daily living. Don’t fill yourself to thinking you can change behavior with he new year. No calendar date determines sustainable change. If you are truly committed to change, then commit to something today and try it once to start and evaluate the experience before trying it again. Never force a habit. Be more mindful of snacking during the holidays. Identify any dietary danger zones where your lapses occur and devise plans on how to be more mindful (e.g., at parties, use a smaller plate for snacks and intentionally move away from the food to mingle). Here are a few other tips that will help keep you and others motivated to stay mindful. -No one likes to show up to a gathering empty handed – bring a healthy snack to share. -Sign up or plan now for solo or group runs on the mornings of days where you know you’ll be eating more. Use the holidays and seeing some faces you don’t normally see as a time to motivate healthy habits. There is no better way to teach others, than by showing them through yourself! -By all means, let yourself indulge here and there. Don’t feel you must pass up that extra helping of green bean casserole or bypass the dessert area. Just be aware and ENJOY in a healthy way (most of the time)! Many individuals are living longer and better than ever. Cutting-edge research reveals the secrets involving aging and how we can proactively become involved with our chronillogically enriched friends. We know that we can train and slow down the aging process by focusing on mental health, cardiovascular conditioning, strength training, flexibility and fall prevention and balance. Our SCW Active Aging Certification combines research and practical approaches for training the brains and bodies of our 50+ participants. Check it out at a MANIA® near you! www.scwfit.com/certification. In the meantime, we have quoted three of our veteran speakers who repeatedly have excellent evaluations from MANIA® delegates to share what they do in their sessions to make them engaging. Their comments are pertinent for both lectures ad movement sessions. Make it FUN! Expose them to equipment that is not just cost-effective, but unique! Use equipment that’s, light in weight & FUN to use! Noodles, hula hoops, Frisbees! Peak interest with knowledge in knowing their specific needs, such as fall prevention and strength gains. Deliver exercise prescriptions that everyone will succeed at. The ‘Base Move’ is always the right move. Progressions happen as we get stronger. Keep music, movements & equipment fresh! Stay positive and honest, understanding their fears and how to help overcome them! I’m passionate about getting older adults moving however; my perspective and message to my students is that physical activity is only one piece of a ‘wellness pie’. We need to remember that the health of the body, mind and spirit springs from engaging in life. Embracing the multiple dimensions of wellness (Physical, Social, Emotional, Spiritual, Intellectual, Vocational and Environmental) is essential for optimal aging. Peak interest by explaining to older adult audiences ‘why’ the exercise is important. How does improved strength reduce the risk of falling…how do multi-planar exercises translate into better function. When they discover that the end result will improve the quality of their lives and reduce their risk of injury, you’ve got a student for life! As an active-aging ‘Boomer’ myself, I am authentically experiencing many of the same aging issues as the people I serve. My personal view on active aging is exactly the same as the thread that I weave into my professional role; every class, program or lecture I influence celebrates older-adult capabilities and encourages personal potential. Engage the crowd by providing new perceptions of aging, enable people to view older adults in a light that is different from societal stereotypes. Older adults should see themselves without age as a defining quality. I encourage them to look at themselves in terms of what they are capable of doing, instead of focusing on what they can’t do. A positive shift in thinking can prompt individuals to take advantage of many more opportunities. It may also encourage them to tackle challenges, such as falls/fear of falling and taking a proactive stance against cognitive decline. Aging actively is about embracing a lifestyle that allows someone to look and move forward, that’s a very powerful thing! As an instructor arrive early for an extended “meet and greet”. Celebrate birthdays, anniversaries and holidays as a group. Always talk progressions and regression remembering that you have all levels in club setting. Make sure you never turn you back on group and keep eye contact a focus throughout the time together. Ask for input on music selection and keep the volume down during class. Bright colored clothing is appreciated allowing for your students to see you better. There is no need to change up routines weekly. Instead keep it basic, recognizable and concentrate on evolving a movement pattern rather then changing it up. Practice what you preach and always be part of the group. From a semi circle when class starts so everyone has the ability to see you from all angles. Plan a home work assignment. 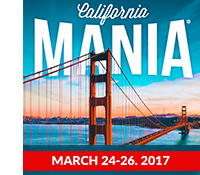 Be sure to check out all of our Active Aging sessions at a MANIA® near you! www.scwfit.com/mania. Recipe courtesy of my Mama, Lora Hamilton. SCW OnDemand is a brand new premium video subscription service that puts instant access to hundreds of unique workouts right at your fingertips on your computer or mobile device. Enjoy UNLIMITED STREAMING of your favorite presenters demonstrating the best of Group Exercise, Aquatic Fitness, Yoga, Barre, Pilates, Kettlebells, Active Aging, Dance, Sculpting, Personal Training and much more!